Quality isn’t exactly a term associated with Marvel when it comes to poster design and promotional artwork. For the most part, the promotional print material Marvel Studios has put out has ranged from flat-out awful to laughably mediocre. 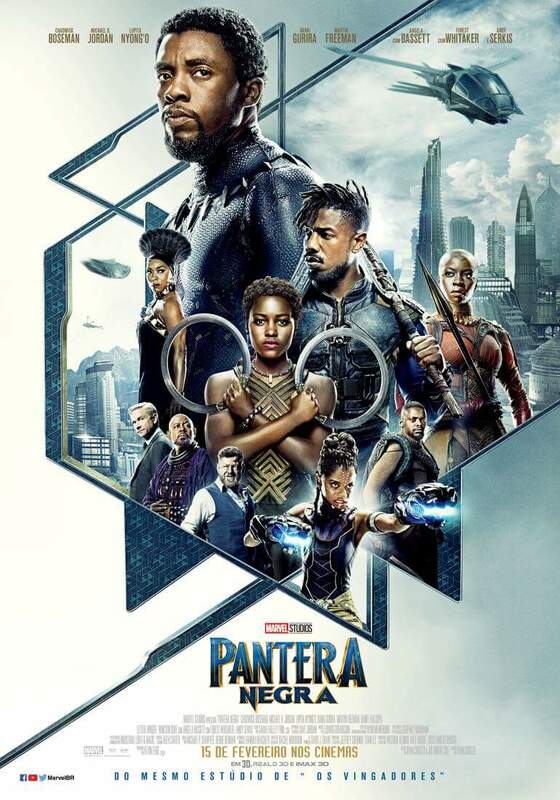 Not for Black Panther though. Despite an awful first poster to kick things off, it’s clear that Marvel is dead serious in the film’s visual marketing push as evidenced by the domestic poster, the international one, and these brand new key promotional art pieces that surfaced online out of nowhere. Peep how incredible they are! Marvel Studios’ inability to take inspiration from comics’ most iconic covers and poses for their marketing campaigns has always baffled fans but this is the step in the right direction (even if these aren’t live action photos). That stylized image of T’Challa with a cartoon Okoye behind him is very reminiscent of Brian Stelfreeze‘ artwork in the recent acclaimed Black Panther run from Ta-Nehisi Coates and is a favorite of mine. We also have another stylized look at what some are speculating to be Killmonger’s jaguar armor. There’s so much to like about this batch of images. Seeing the Dora Milaje take center stage in the marketing campaign is just a sight for sore-eyes.